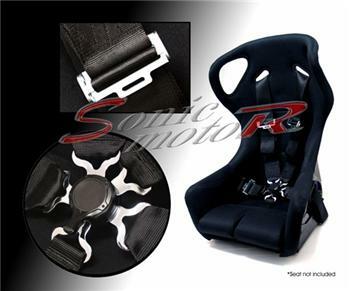 5-Point racing seatbelt harness with Camlock! Designed to hold you in place safely and securely when your factory seat belts do not. The camlock only requires one turn of the knob to quickly get you out of the vehicle as needed! 3” High Quality Heavy Duty Reinforced Nylon Straps, Simple snap-in camlock buckle! NOTE: This item contains 1 seat belt harness per package. If you need 2 or more, please adjust the quantity in the checkout page accordingly.